My youngest daughters’ friends were impressed that Judaism celebrates a New Year of Trees, marked by planting and honoring trees. Here’s a round-up of how to observe this special day. Tu Bishvat is the 15th Day–at the full moon–of the Hebrew month of Shevat, around February on the solar calendar, which this year coincides with Shabbat on February 10-11, 2017. 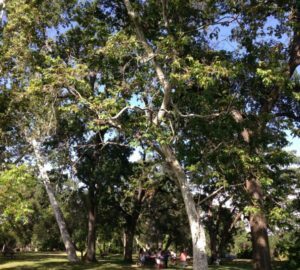 It is known as Rosh Ha-shanah La-Ilan, the New Year of Trees (or for the mystics, more precisely of “The Tree,” the Tree of Life). Its meaning and customs have developed over centuries. Tu Bishvat is one of four Jewish New Years, and it has been through four phases of development: from a “tax day” for tithing fruit for the needy in ancient Israel, to a traditional day to eat fruits that recall the Holy Land (developed most fully in the mystical Tu Bishvat Seder), to the modern Zionist emphasis on planting trees to reforest Israel (the only country in the world to have more trees at the close of the 20th Century than at its inception), and finally our contemporary Tu Bishvat with its focus on Ecology and the Environment. 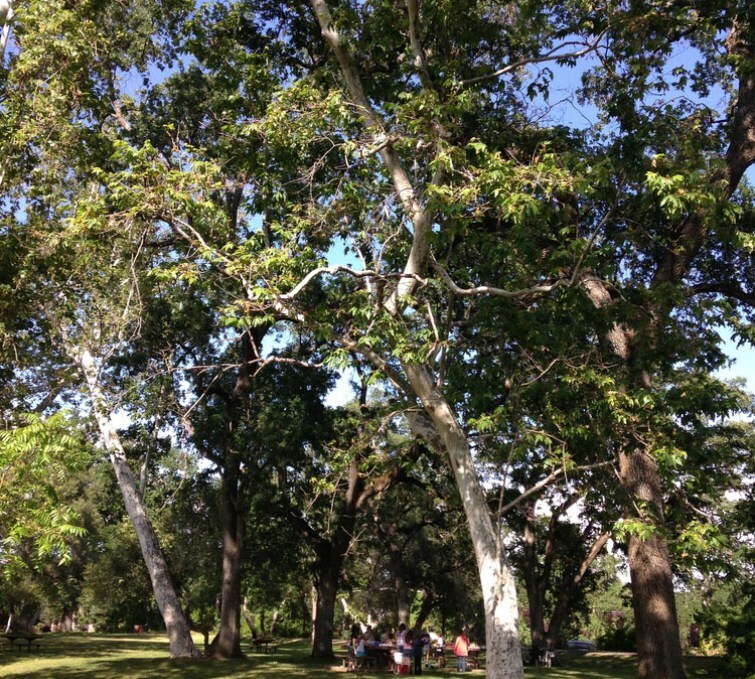 Learn more about Tu Bishvat. Customs of the day including planting trees (locally, if seasonal, or donating to plant in Israel or worldwide). Children sometimes plant parsley in a pot to grow for the upcoming Passover Seder. Planting activities should be done on a day other than Shabbat. 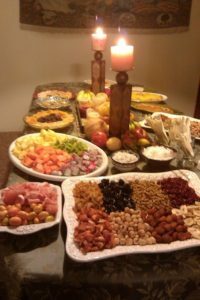 Eating fresh or dried fruits and grains that remind us of Israel, such as the biblical “Seven Species” (wheat, barley, grapes, figs, pomegranates, olives, and dates), and other tree products associated with Israel such as almonds or carobs, has long been popular for Tu Bishvat. 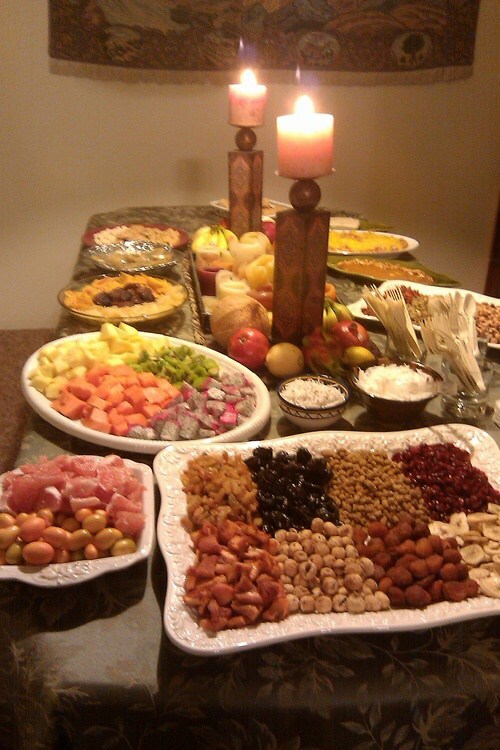 The most elaborate type of fruit feast is the Tu Bishvat Seder. This formerly obscure Kabbalistic custom has made a comeback over the past few decades. The word Seder means “order” and usually refers to a special meal eaten on Passover to recall the Exodus from Egypt. At the Tu Bishvat Seder, we drink four cups of wine or juice, starting with white for winter, and gradually adding more red for spring and summer. We also bless and enjoy eating four kinds of fruits representing the Four Worlds of Kabbalah: Physical (fruits with shells), Emotional (fruits with pits), Intellectual (wholly edible fruits), and Spiritual (scents alone). Reb Zalman taught that each of these also represents a higher degree of intimacy in our relationships as we gradually discard our outer “shells” and defenses. The Seder can include readings, songs, poems, and stories. 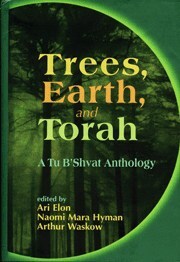 The Tu Bishvat Seder aims to connect us to the land of Israel and to the divine energy of the Tree of Life. 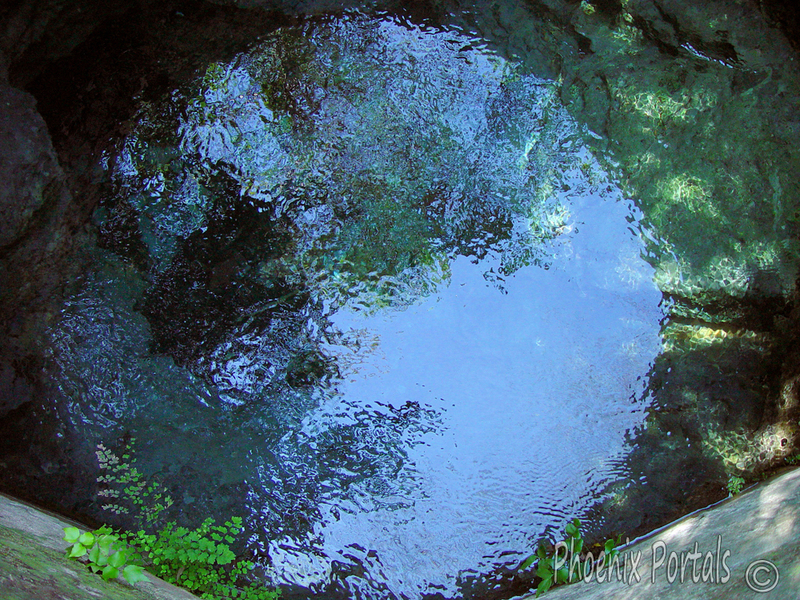 In modern times it has gained new meaning as an environmentally focused ritual. 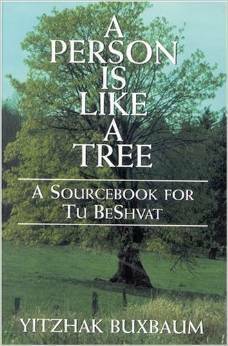 Want to deepen your Tu Bishvat experience? In addition to the two books featured in this post: Trees, Earth and Torah, and A Person is Like a Tree, you can download a beautiful free Tu Bishvat companion book. One of the best sources for Tu Bishvat materials is the Neo Hasid Website. And here are three downloadable Tu Bishvat Haggadot by Rabbi Rachel Barenblat, the Velveteen Rabbi blogger.